Wendlewulf Productions is a co-operative venture that matches academic knowledge with IT excellence. Wendlewulf’s philosophy is bring together accurate and accepted knowledge and present it in an innovative computer environment; the result is a ‘Total Resource CDROM’ that can be either used as a ‘stand alone’, or downloaded onto a school’s server for multi user access. Wendlewulf believes in education, where the person seeking knowledge is presented with relevant information, pictures, graphics and sounds and allowed to make their own decisions, rather than instruction, where the person seeking knowledge is merely told what to believe. Wendlewulf’s software product is‘1066 and the Norman Conquest’. This CD-ROM intranet is suitable for ages 11 to adult and designed to fit the requirements of the English National Curriculum, History Stage 3, Unit 1, as set by the Department for Education and Employment, London. It can also be used as a base for General Certificate of Secondary Education studies. For something more light weight, you may like to buy an audio CD of some of the old English stories that author Geoff Boxell tells at medieval banquets. 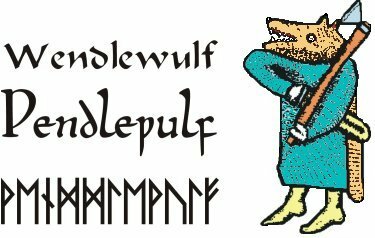 For the younger reader we have of the stories of Beowulf & Hengest, Arthur all of which are available free from Smashwords. Meet the members of the team.